Today, I’m starting a new feature where I look at bands that, despite what success they actually had, could have been a lot bigger if not for fate, circumstance, bad management, stupid decisions or band break-ups. Twisted Sister’s biggest commercial success was, in retrospect, the cause of their downfall. Now, some people would argue Twisted Sister didn’t suffer a “downfall;” after all, the band (after a long hiatus) is back on the road touring and still drawing crowds. The ability to bring in paying audiences 30 years later, most would say, is a definite sign of musical success. But most of the band’s success is largely based on “Stay Hungry,” an album that dramatically altered the band’s musical trajectory after several of its songs became radio and MTV hits. It was the kind of ephemeral success the band would try, and not succeed, to recapture on their followup album, “Come Out And Play.” After “Come Out and Play” failed to maintain the momentum of “Stay Hungry,” the band’s demise was only a matter of time. Although they’re generally lumped in with the hair metal groups of the 1980s, Twisted Sister was a much older band than most of the hair set; from what I’ve read, Twisted Sister was formed by Jay Jay French in the early 1970s. 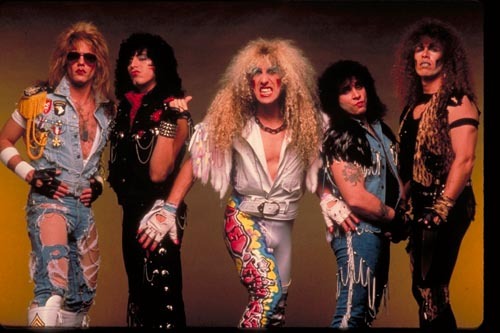 Twisted Sister was initially way heavier than the Aquanet hair bands that ruled the ’80s airwaves. While Poison, Winger, Trixter and thousands of other hair bands were formed solely with the goal of writing “power ballads” and cashing in on the pop metal craze, Twister Sister were heavily influenced by take-no-prisoners bands like Motorhead, Black Sabbath and Iron Maiden. Don’t believe me? Listen to this early Twisted track, “Tear It Loose;” if your only experience with Twisted Sister is “We’re Not Gonna Take it,” you’re gonna be surprised. “Under The Blade,” the band’s first full-length album, was a hard-hitting disc of heavy metal — and, in the case of “Tear It Loose,” borderline thrash. “Destroyer,” from the same album, was heavier than anything on Ozzy Osbourne’s “Blizzard of Ozz” or “Diary of a Madman,” albums — and could hold its own with the hardest moments of Black Sabbath’s “Heaven and Hell” or Iron Maiden’s “Piece of Mind.” While not in the same class as Maiden, Ozzy or Dio-era Sabbath, songs like “Under The Blade,” “What You Don’t Know (Sure Can Hurt You)” and “Sin After Sin” showed Twisted Sister had far more chops than Motley Crue or Def Leppard ever dreamed of possessing. “You Can’t Stop Rock ‘n’ Roll,” which was released in 1983, was anthemic and catchy without sacrificing heaviness. Twisted Sister frontman Dee Snider, who was then the band’s major songwriter, was penning heavy songs that also managed to have singalong hooks. Standout tracks include the title track as well as “Ride to Live, Live to Ride,” “Like a Knife in the Back,” “The Kids Are Back,” and “We’re Gonna Make It.” While every song isn’t perfect (“I’ve Had Enough” is probably the weakest track), the album is a metal classic. After “You Can’t Stop Rock ‘n’ Roll,” I get the feeling Twisted Sister could have gone in an even heavier direction. But Snider had a knack for writing catchy tunes and someone at the record label, Atlantic, saw an opportunity to make Twisted Sister the biggest band in America. So, instead of following up-and-coming thrash bands like Metallica into increased heaviness, Snider and the band chose to play up their way with melody. The end result, “Stay Hungry” was a gigantic hit. The vids for “I Wanna Rock” and “We’re Not Gonna Take It” catapulted the members of Twisted Sister into the public eye in a way that few other hard rock and metal bands had enjoyed at that time, except for Kiss. The videos — which were actually quite funny — showed the band tossing, stomping and generally beating the crap out of a mean-spirited but utterly hapless high school teacher/parent. The videos were “Saturday morning cartoon” violent and the songs were radio-friendly and catchy enough to appeal to a young (really, grade school) audience. Those videos made Twisted Sister MTV heroes. Musically, pretty much the rest of “Stay Hungry” was equally welcoming to non-metal listeners. “The Price,” “Don’t Let Me Down,” “The Beast” and “Captain Howdy/Street Justice” were light enough to not threaten people who wouldn’t have been caught dead listening to, say, Iron Maiden — and the heaviest songs, “Stay Hungry,” “Burn In Hell” and “SMF” had catchy choruses that at least made them accessible. The album was a huge commercial success. Perhaps all that MTV exposure and the overt kid-friendliness of the videos turned off the metal crowd, because a backlash certainly hit the band a year later, when “Come Out And Play” was released. 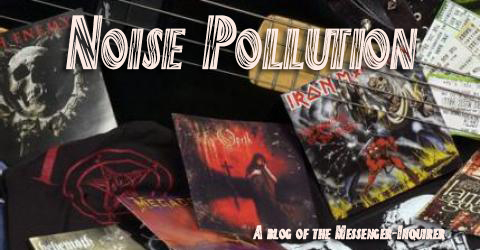 In addition to the backlash, the band made several poor choices that undermined their metal credibility. For example, the band’s decision to do a ridiculous cover of the 50s kinda-classic “Leader Of The Pack” was an atrocious mistake that was taken seriously by absolutely no one. Trying to capitalize on their MTV smashes from “Stay Hungry,” the band shot a video for the borderline-unlistenable “Be Chrool To Your Scuel,” but MTV balked at the violent imagery of zombies ransacking a high school (complete with a woman sawing through a zombie’s neck in the cafeteria). With MTV refusing to show “Be Chrool,” the band’s previous path to stardom was essentially blocked. “Love Is For Suckers” was actually intended as Snider’s solo album — and the disc was recorded by different musicians — but Atlantic threatened to not release it unless it was billed as the new Twisted Sister album. The album went absolutely nowhere commercially and the band broke up within weeks of the album’s release. While Dee Snider would certainly disagree, what I hear when I listen to Twisted Sister is wasted potential. But hey, “You Can’t Stop Rock ‘n’ Roll” is damn near a classic — and one “classic” album is more than most bands have in their careers. It’s just too bad the band’s biggest hit completely derailed their creativity.